Hello, I am finding menu (not whisker) such as when I click on a file menu, or browser menu the drop down is transparent and the information gets confused with the app that is in the background. I like the menus to be opaque so there is a clear differentiation. I have tried peppermint control center desktop effects to no avail. How the heck have you done that .. have you installed compiz ? Is this theme specific ? .. what theme are you using ? With all the other problems you seem to be having .. did you keep a home partition from another distro by any chance ? Do you have all these problems if you log into a guest session ? There has been minimal customization. I am using Peppermint-light-7 for theme. I will add a guest account and see how the system behaves. 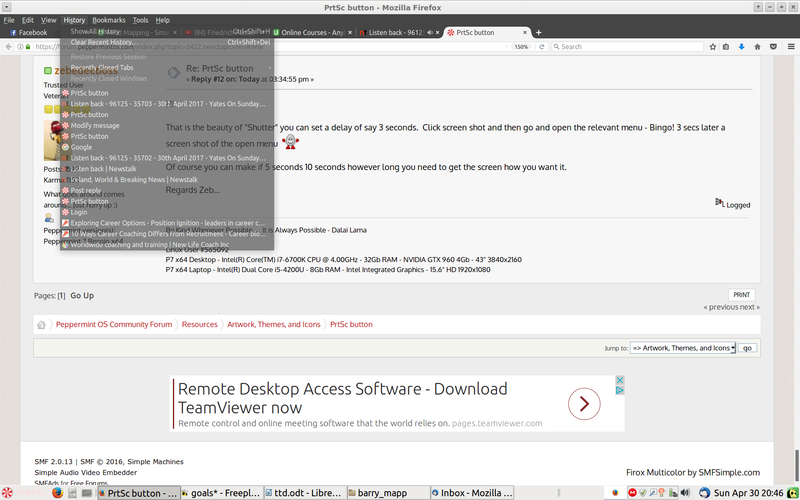 Change Opacity of popup windows to Opague - its on a slider. You are most welcome as all the folk here who helped.